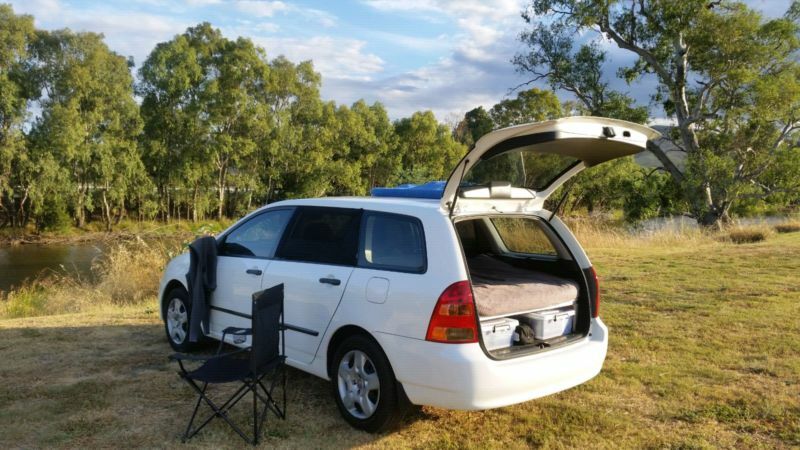 The purchase of the Toyota Corolla was a culmination of a desire to retain a functional camper vehicle, but significantly reduce the associated expenses of a large 4WD van like the Delica. We picked up the Corolla wagon in late 2015 after the sale of our Delica van. Karl went about designing and constructing a folding camper system for it, based on our previous systems that we’d made.